The Reserve Bank of India and SEBI have cleared the trading in the new instrument recently. The product will be launched in the cash segment of NSE. This will ensure ease of trading, wider reach, no additional procedure for regular investor to buy and sell through the exchange. Investors can now freely buy and sell the bond on the Exchange platform. The Sovereign Gold Bond Scheme, 2015 was announced by the Government of India in October, 2015. The first tranche will now be available for trading. RBI has appointed NSE as 'Receiving Office' for collecting subscription bids from investors. “NSE is expecting large retail acceptance as this product is a better substitute for physical gold. We expect the product to work well keeping in mind NSE’s retail distribution capabilities”, said Mrs Huzan Mistry, Strategic Business Head- Currency & Fixed Income, NSE. 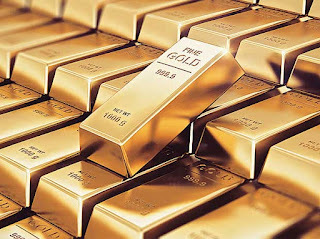 Investors will get returns linked to gold price. Additionally a fixed interest rate of 2.75% p.a. will be payable semi-annually. The bonds will carry sovereign guarantee both on the redemption amount and the interest payable. Minimum investment size in the secondary market will be as low as 1 gm. Reference price for trading will be the gold with 0.999 purity and as published by IBJA. The tenor of the Bond is 8 years with a put option available from the 5th year. The product is accompanied with few beneficial tax features. Though the long term capital gains tax is applicable after 3 years, the same will be zero if redeemed after full maturity only. Investors will also not have to pay any TDS on interest accrued. Besides, the investment can also be used as collateral for bank loans. In its 20 years of existence, NSE has transformed the capital market, based on technology, innovation, high standards of corporate governance and management practices. NSE's business practices and high level of integrity have earned it the trust of the financial markets worldwide.